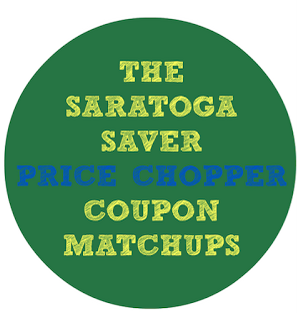 Price Chopper Weekly Coupon Matchups 4/3-4/9! PC Whole Fryer or Roasting Chicken - $0.99 lb. Certified Angus Beef Whole Eye Round - $2.99 lb. Hatfield Dry Rubbed or Plain St. Louis Style Ribs - $2.99 lb. = $2.14 for 1 lb. Has anyone had issues with coupons doubling? I go to the Price Chopper on Ballston Ave and my coupons haven't doubled the past 4 times I've been there. I ususally don't say something if its just a $1, but one time I had to because it was over $5 that hadn't been applied. Am I just having bad luck or is there something wrong with the computer system? They are almost always printed coupons that dont double. Sorry for the rant haha it's just really frustrating!! I didn't have an issue today. But in the past I did and I went to customer service because it was over $2.00. They gave me the difference in cash. Off the topic of this post: Keep your eyes peeled for Easter Candy at 75% off. Those Cadbury 4 pack creme eggs were $3.99 before and now are only $0.99! Also I didn't see the superman cereal on sale this week- no tag at least. I did find however Barilla Pronto Linguine for $0.89 on clearance- with the $0.75 coupon in today's paper, it's free! Couponswootwoot (a great name!) Thanks for the info! Thanks for the responses! I think I'm just having bad luck haha but I think I'll go to customer service next time. I always forget thats an option! how do change the zipcode?? ?